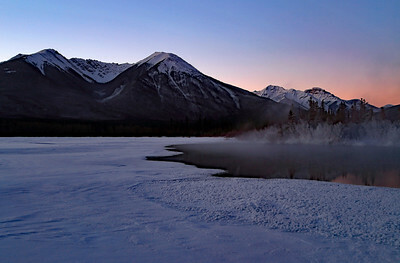 A very chilly morning on the 3rd Vermillion Lake. 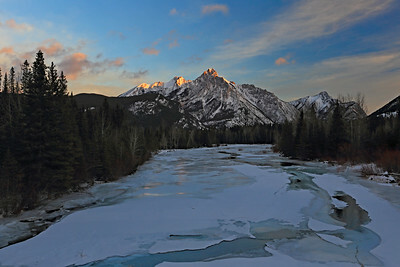 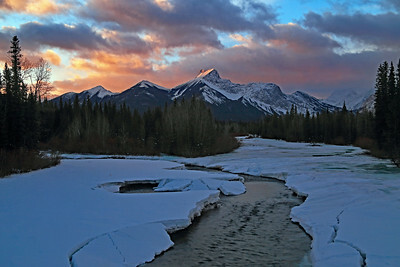 Looking down the Kananaskis River at Wedge Mountain at sunrise. 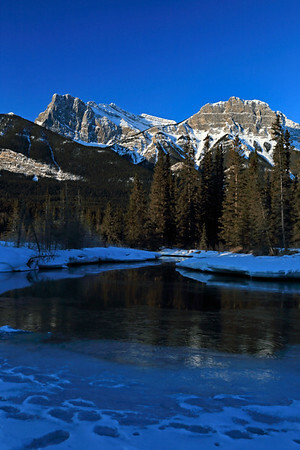 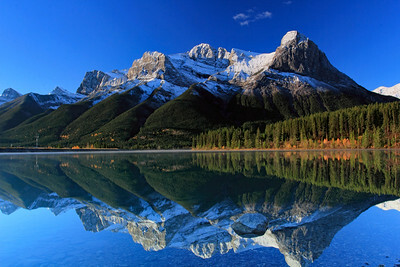 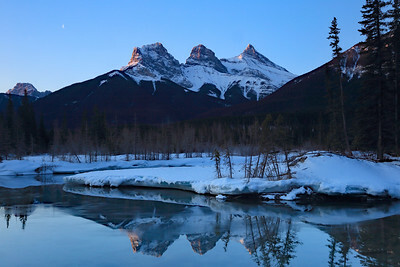 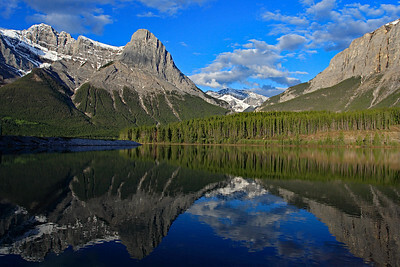 Cascade mountain reflected in the Bow River. 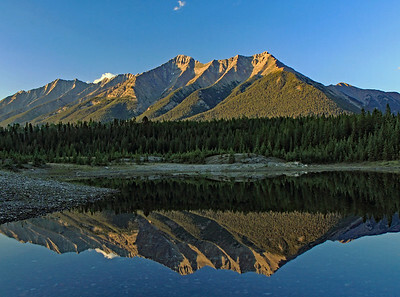 A beautiful evening in Kootenay National Park just north of Radium Hot Springs in British Columbia Canada. 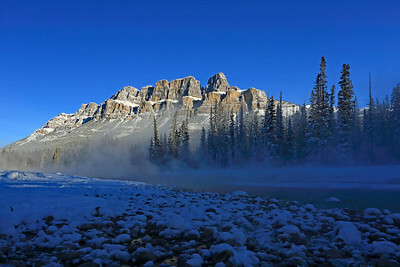 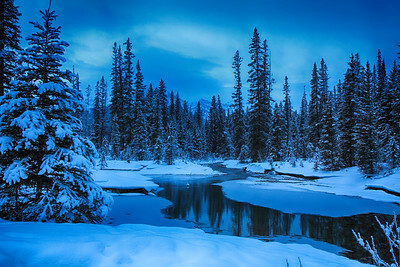 Morning scene in Kootenay National Park in British Columbia. 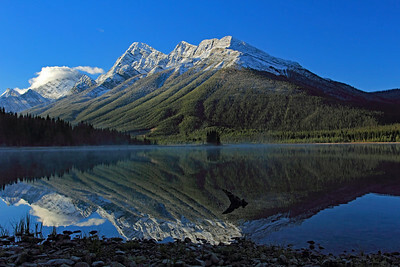 An early morning reflection on Lower Spray Lake in Alberta Canada. 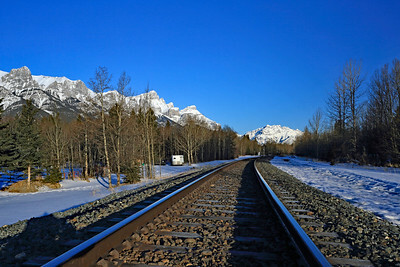 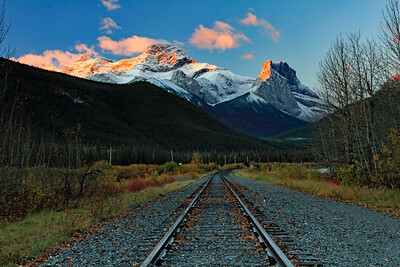 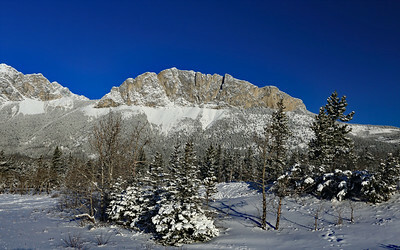 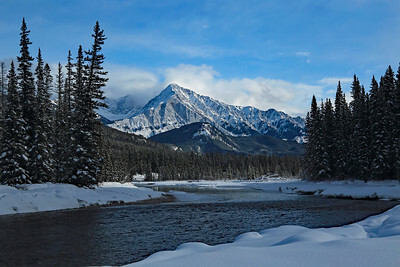 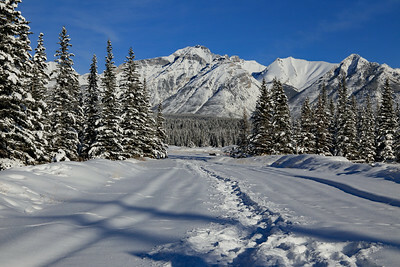 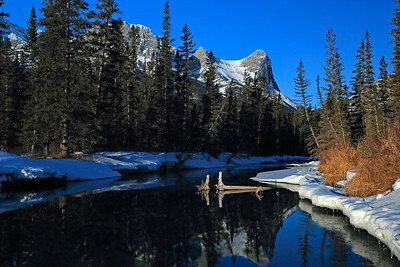 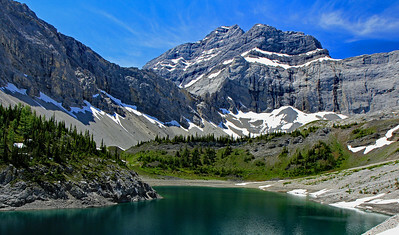 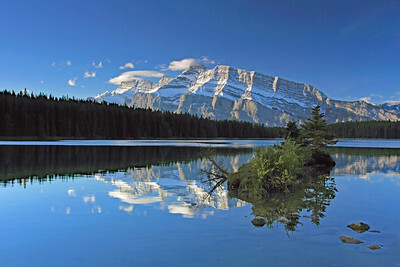 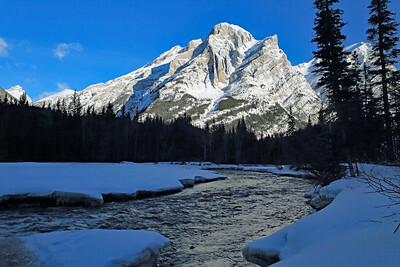 Haling peak and Mount Lawrence Grassi from the Rundle Forebay just south of Canmore Alberta. 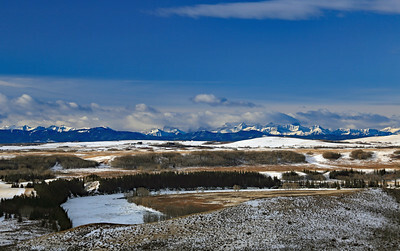 And the Windtower taken from nearby Exshaw Alberta. 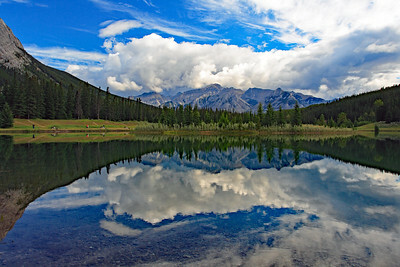 Reflected in Cascade Pond at Banff in Alberta Canada. 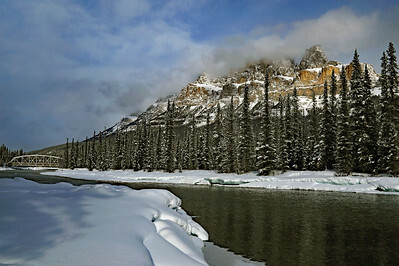 Color toned winter scene near Castle Mtn.